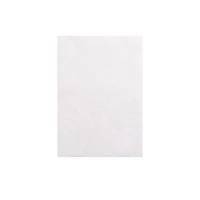 Ampac Extra Strong Oxo-Biodegradable Polythene Envelope 240x320mm Opaque (Pack of 100) KSV-BIO2 Pack of 1 Ampac biodegradable extra strong envelopes made from oxi biodegradable polythene. Ideal for heavier weight items. Waterproof and burst proof. Tear and puncture resistant. Peel and seal closure. Opaque 230 x 320mm. Ampac Extra Strong Oxo-Biodegradable Polythene Envelope 460x430mm Opaque (Pack of 100) KSV-BIO6 Pack of 1 Ampac biodegradable extra strong envelopes made from oxi biodegradable polythene. Ideal for heavier weight items. Waterproof and burst proof. Tear and puncture resistant. Peel and seal closure. Opaque DX 460 x 430mm. 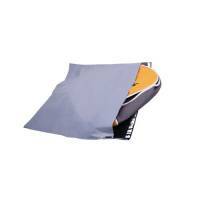 Mail Bag Self Seal 320x440mm Opaque Grey (Pack of 200) PM-03200440-C Pack of 1 "Mail Bag Self-Seal 320x440mm Pk 200 Grey PM-03200440-C Easy to write on surface. Strong and secure self seal closure, with tamper evident security. Environmentally friendly and 100 percent recyclable." 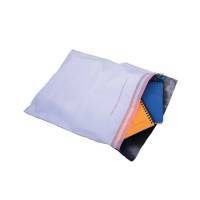 Mail Bag Self Seal 425x600mm (Pack of 100) Opaque Grey (Pack of 100) PM-04250060-C Pack of 1 Mail Bag Self-Seal 425x600mm Pk 100 Grey PM-04250060-C Easy to write on surface. Strong and secure self seal closure. Tamper evident security. Environmentally friendly and 100 percent recyclable. 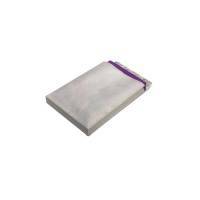 Tyvek Pocket C5 Envelopes 229x162mm Peel and Seal White (Pack of 100) 551024 Pack of 1 Tyvek pocket envelopes. 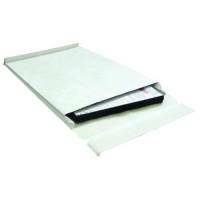 Tear and water resistant envelopes ideal for sending important documents safely and securely. Lightweight and flexible with a peel and seal closure flap. Recyclable. Size C5 229 x 162mm. Tyvek B4 353x250x38mm Peel and Seal White Gusset Envelope (Pack of 100) 11843 Pack of 1 Tyvek Gusset Envelopes. Tear and water resistant envelopes. Peel and seal closure. Recyclable. Size B4 353 x 250 x 38mm. 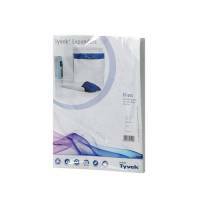 Tyvek Envelope 394x305mm Peel and Seal White (Pack of 100) 558024 Pack of 1 Tyvek Pocket Envelopes. Water and tear resistant. Size - E4 394 x 305mm. Tyvek 324x229x38mm Peel and Seal White Gusset Envelope (Pack of 100) 755024 Pack of 1 Tyvek Gusset Envelopes. 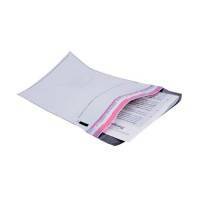 Water and tear resistant and burst resistant envelopes. Size - C4 324 x 229 X 38mm. Tyvek B4A 330x250x38mm Peel and Seal White Gusset Envelope (Pack of 100) 756524 Pack of 1 Tyvek Gusset Envelopes. Water and tear resistant and burst resistant envelopes. Size - B4A 330 x 250 X 38mm. Pack of 100. Tyvek 381x254x51mm Peel and Seal White Gusset Envelope (Pack of 100) 757224 Pack of 1 Tyvek Gusset Envelopes. Water and tear resistant and burst resistant envelopes. Size - D4A 381 x 254 x 51mm. 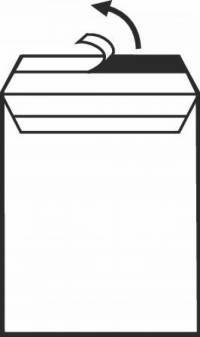 Tyvek 406x305x51mm Peel and Seal White Gusset Envelope (Pack of 100) 758124 Pack of 1 Tyvek Gusset Envelopes. Water and tear resistant and burst resistant envelopes. Size - E4 406 x 305 X 51mm. 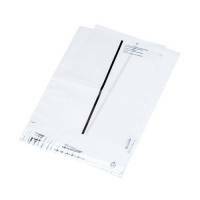 Tyvek Envelope 481x330mm Peel and Seal White (Pack of 100) 558224 Pack of 1 Tyvek Pocket Envelopes. 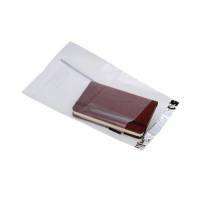 Water resistant and tear resistant and burst resistant envelopes. Size - F4 481 x 330mm. 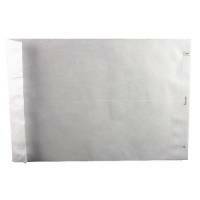 Tyvek 406x305mm Peel and Seal White Gusset Envelope (Pack of 20) 758124 P20 Pack of 1 Tyvek Gusset Envelopes. Water and tear resistant and burst resistant envelopes. Size - E4 406 x 305 X 51mm. 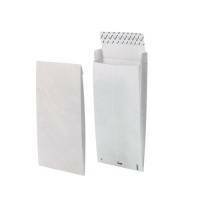 Tyvek B4A 330x250x38mm Peel and Seal White Gusset Envelope (Pack of 20) 756524 P20 Pack of 1 Tyvek Gusset Envelopes. 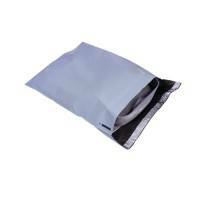 Water and tear resistant and burst resistant envelopes. Size - B4A 330 x 250 X 38mm. Pack of 20.